Amped-4-A-Cure, Inc. uses the universal language of music as the vehicle to deliver the message to the masses the importance of getting behind the efforts of cancer research. 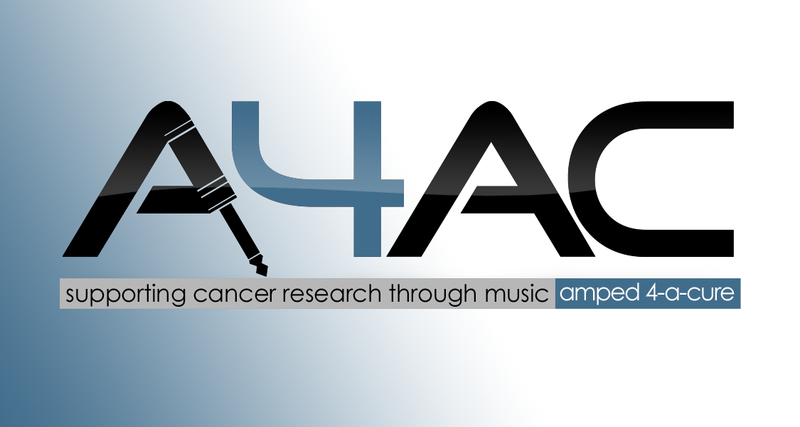 By supporting all genres of music just as we are Amped 4-A-Cure for all types of cancer, A4AC is able to reach and spread the word to all people, from all walks of life. In 2007, Amped 4-A-Cure, Inc was conceived. Its creators, Heath Harrison, Charlie Harrington, Ashley Rogers and Xavier Grier held the first Amped-4-A-Cure, Inc benefit concert on August 16th 2007 at the Reel Café in Wilmington NC, thus giving birth to a new movement. Initially, Heath, Charlie and Ashley were only looking to hold an annual concert to support the research activities of Hanover Medical Specialists, P.A.’s Oncology Division in Wilmington. However, Xavier saw a bigger picture. Xavier, having just recently lost his father to lung cancer, was passionate about developing what started off as just a one-off project into a full fledged movement. In 2008 he shared the idea with his business partner Rocky Robinson who had recently joined |THE, llc. as the Managing Partner of the|ENTERTAINMENT. Rocky was sold immediately on the concept and wanted to run full steam ahead, having lost his own mother to cancer. Although the stage had been set, there were still some missing elements for such a huge undertaking. Xavier then introduced the idea to four of his close friends; Jameka Whitten of JSW Media Group, Dany Eason of DEPR Communications, Sean Mattier, another member of |THE, llc and Matthew Wilkinson, a mobile tour marketing professional. Each new member embraced Amped 4-A-Cure, Inc with open arms. Jameka had lost her father to cancer in 2008 and Dany had lost all of the men on his mother's side of the family to the disease as well. Now the core team was complete: Charlie Harrington, Heath Harrison, Ashley Rogers, Natasha Simone, Rocky Robinson, Dany Eason, Sean Mattier, Matthew Wilkinson, Jameka Whitten and Xavier Grier. And so the movement began. The Vision of Amped 4-A-Cure, Inc is to be the world’s leading charity of choice in supporting cancer research, awareness and education for all types of cancer. Our goal is to use all genres of music as the vehicle to reach the masses and do our part to ultimately find a cure. While finding a cure is the ultimate goal, we realize the importance of the "here & now", so Amped 4-A-Cure, Inc makes an equal push on educating of early detection and prevention. Through programs such as "GetPluggedIn" that emphasizes the importance of knowing the information to help keep yourself cancer free and the importance of early detection and "An Apple A Day" that provides nutritional insight on how to make the right choices as a preventative method. Amped 4-A-Cure is dedicated to taking on the beast we call cancer.